David: We’ve integrated a wireless card that works hand in hand with the original controller. This allows the grill to accept commands and reply to them on the wireless network using standard TCP and UDP protocols. It also allows the grill to communicate with our server over the internet, like when you update your grill. David: The most obvious feature is that you can manually control everything the grill did before, letting you stay inside during poor weather and directly set the temperature you want without pressing the up and down buttons until you get there. The biggest new feature is food profiles which let you program a series of steps for your grill. Each step cooks at a specific temperature for a certain amount of time or until the food probe hits the specified internal temperature, when the profile completes you can either keep your food warm at 150 °F or go directly into fan mode. In Android the app will monitor the profiles’ progress and alert you as each step is started and completed. Unfortunately alerts aren’t available for iOS users right now but they will be in the next major iOS release. It’s a little more complicated to provide alerts in iOS than Android but alerts are coming soon. We’ve also included multiple tools to help with your grilling experience such as a timer, stopwatch and flashlight. David:There’s a few things we feel help someone cook better. For instance, food profiles let users cook consistently and they can refine their steps over time until it’s absolutely perfect. This gives even a novice smoker, the tools necessary to create outstanding barbeque. We also like that it’s easier to multitask when preparing multiple dishes because you can monitor the grill even when you’re doing other things. David: Absolutely, this is a work in progress and we have a number of excellent features slated to come out over the next few months. 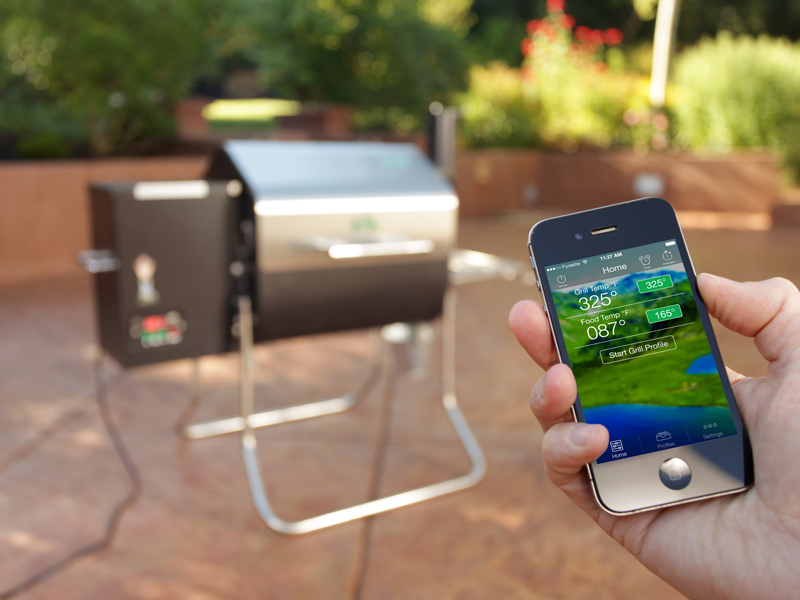 The next major update will be the ability to connect your grill to your local WiFi at all times as well as alerts for iOS users, using push notifications, which wasn’t possible until we had internet access on the grill. David: Well we’ve inherited this project from another team and the initial version of the app worked pretty well but was rough around the edges. So we’ve been hard at work revamping the app from the ground up. Android users are already able to see the results of this in versions 1.5+ and the feedback has been very positive. I think our iOS users will be extremely pleased when their major update is released as well. There’s been a lot of improvements to the user interface, especially in regards to creating and editing profiles, that should make the whole process simpler and more intuitive. I’m also excited about the possibilities going forward as we continue to release updates and gather feedback from users. David Scott is the Director of Product at Fyresite, a Phoenix App Development Agency.